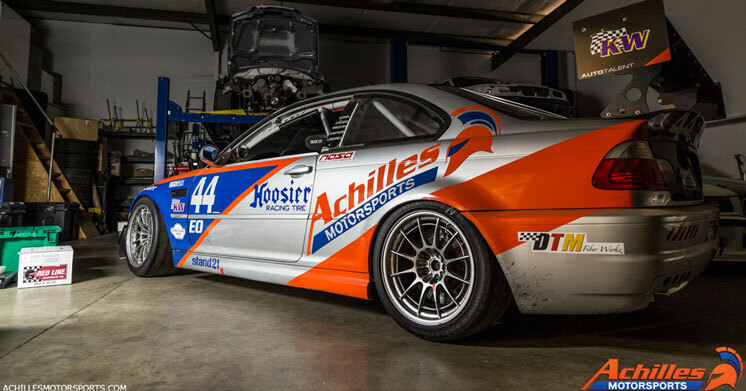 Achilles Motorsports | BMW Engine, Racing Components & Performance Parts backed by years of experience! 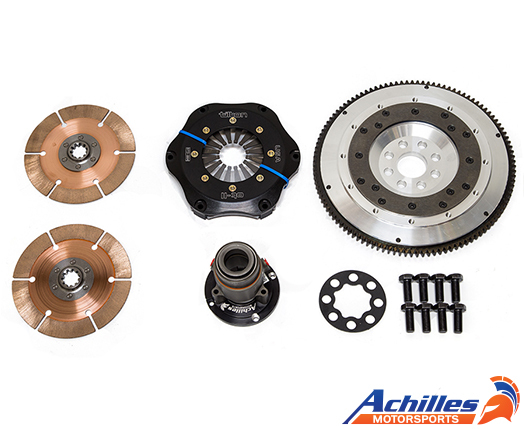 Achilles Motorsports specializes in BMW racing parts, BMW performance parts, OEM BMW parts and accessories! Achilles Motorsports also offers BMW race engine & valve train components, BMW dry sump kits, oil system upgrades for BMW's, performance drivetrain solutions for BMW's, specialized suspension systems & components for BMW's and many other high performance modifications to make your car perform it's best on the street or race track! Founded in 2002, Achilles Motorsports sought out to engineer and build race cars with aeronautical precision and fanatical attention to detail. This forged the creation of many unique parts offered by Achilles Motorsports! Each part has been extensively tested in some of the harshest racing conditions in the world. By partnering with various world-renowned parts manufactures and selling only products that have passed our strenuous quality and craftsmanship standards Achilles Motorsports is able to ensure our customers not only find the parts they need, but ensure they can Own Confidence! Together the team at Achilles Motorsports has over 45 years experience with European race cars, performance tuning and high end vehicle service. 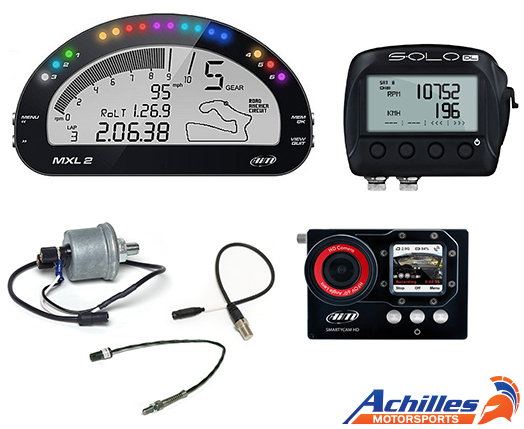 This ensures the team at Achilles Motorsports can answer all your questions and provided you with the perfect solution for your individual needs! We urge you to take a look around and if you have any questions, comments or suggestions feel free to give us a call at or Click Here to send us an email! Thank you for visiting AchillesMotorsports.com! 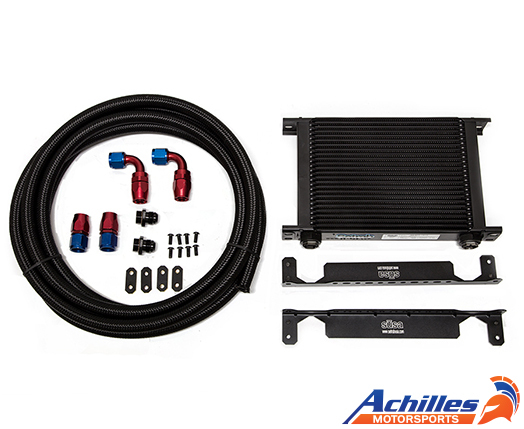 Oil Coolers help protect your cars engine, differential, and transmission during extreme racing conditions, this helps extends the parts life and keep you racing harder longer! Complete race grade clutch & Flywheel solutions engineered and tested in some of the worlds most grueling endurance races. Data acquisition systems and in car video systems help you gain valuable insight into what’s going on inside your car on the race track! Achilles Motorsports was founded on the belief that in motorsports the highest quality manufacturing and design was necessary for success. Therefore we set out to offer components which are designed with fanatical attention to detail and manufactured by the highest industry standards and materials. We also believe that testing in the real world(I.e. Racetrack) is a critical part of development, hence all the Achilles Motorsports parts have passed strenuous testing to meet and exceed our standards.